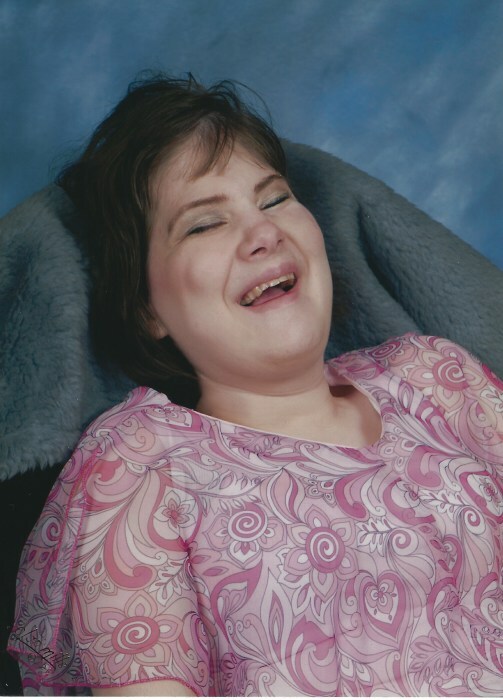 Obituary for Melissa Diane Morse | Jones Funeral Home, Inc.
Melissa Diane Morse, age 39, of Crossett, AR, passed away peacefully while surrounded by her loving family on Saturday, April 13, 2019. She was born on August 4, 1979 to Charles and Nelda Morse. She was always a joy to be around. Melissa loved to ask questions and visit with anyone who stopped by. When visitors would attempt to leave, their keys would be found in the hands of Melissa. She told everyone she met that they were beautiful, even though she lost her sight at an early age. Some of her favorite joys in life were listening to audio books, picking and joking around with her mother, and going for a ride, but only if it included a stop for a hamburger and French fries. Melissa is preceded in death by her father, Charles A. Morse; her paternal grandparents, Curtis and Ruby Morse; her maternal grandparents, J. Urban and Rosalie Carter; one nephew, Nicholas Gulledge and one niece, Mia Rose Hollis. She is survived by her mother, Nelda Morse; two sisters, Cyndi Gulledge and Stephanie Hollis (Chuck); two nieces, Rebecca Freeman (Larry) and Rhiannon Gulledge, all of Crossett, AR; one nephew, Chance Hollis of Hamburg, AR; one great niece, Cameron Freeman of Crossett, AR; one great nephew, Brendan Freeman of Crossett, AR and a host of friends and loved ones. Funeral services for Melissa Morse are Tuesday, April 16, 2019 at Magnolia Baptist Church in Crossett, AR with Bro. Mike Griffith officiating. Visitation is from 1:00pm until 2:00pm and the Celebration of Life Service begins at 2:00pm. Interment is in Carter Cemetery. Service arrangements are under the direction of Jones Funeral Home, Inc. Pallbearers are Larry Freeman, Chuck Hollis, Jim Carter Stephen Carter, Bruce Sharp and Willie Pierre. The body will lie in state at her mother’s home located at 1775 Marias Saline Rd. in Crossett. Memorials may be made to Mia Rose Hollis Memorial Garden c/o ACHF, 1015 Unity Rd. Crossett, AR 71935.